Welcome to the website of National Agrochemical Distributors Ltd. (NAD). We are the leaders in supplying amenity, horticulture and crop protection products in Ireland. Left untreated, Black Vine Weevil larvae can cause serious crop damage. They are one of the most serious pests seen on ornamental nurseries and are a constant threat as adults can arrive on site from any number of sources – including bought-in plants – and will then establish a population. Once on site, Black Vine Weevil numbers can build rapidly over one or two years, and if not kept in-check, can cause considerable damage to nurseries. Nemasys-L is a curative treatment of microscopic nematode worms, that once applied will seek out Vine Weevil larvae in the soil and compost to enter and release a small pellet of bacteria to kill the host after a few days. The parasitic worms begin to reproduce and release several thousand more juvenile infected nematodes able to find and further kill weevil grubs. Order your Nemasys-L from us now for March application. Fargro products are distributed in Ireland by NAD. For more, please see https://www.fargro.co.uk/news/technical-news-articles/nemasys-l.html. 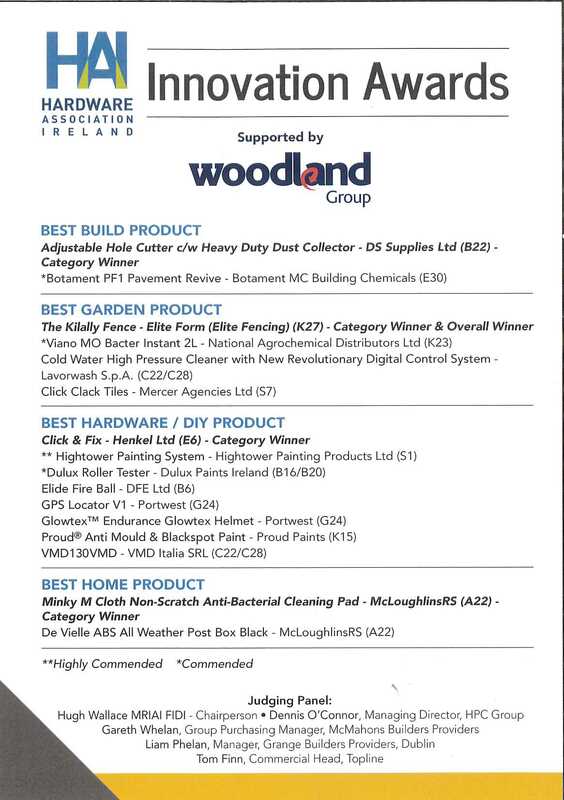 Viano MO Bacter Instant 2L has been commended by HAI and was a finalist for the award of the Best Garden Product of 2019. Place your orders easily by contacting our Sales Team via mobile phone or email with a single click on the icons. ​Please feel free to email us should you require to purchase an item, need a quotation or just simply want to see the availability of a product. We also can take Credit/Debit Cards over the phone, or payments by Bank Transfer. Osmocote PrePlant (17-9-10 +2MgO +TE) provides the ultimate season long nutritional needs for trees, plants and shrubs providing a cost effective solution for landscapers when planting out. Please click here to download a detailed leaflet. OUR NEW PRODUCT GUIDE IS OUT NOW! 01 8437808 or email us if you wish to receive your copy. Apply in dry weather (from Feb–Nov), in frost-free conditions with soil temperature above 5 C degrees. For more details on the above products please click here. ​Other professional products (organic and organo-mineral) in bags/bulkbags and tailormade formulations are available on request. Kills moss, algae and mould on all outdoor hard surfaces including artificial turf. No pressure washing or scrubbing is required, just dilute, apply and let it work. Please click here to download information on the MMC Pro. OIL BLITZ - IN STOCK NOW! Oil Blitz is a remediation product that completely eradicates petrol, diesel and oil spills in-situ from grass and hard surfaces. Please click here to download a short video. NAD IS LOCATED AT BLAKE'S CROSS, LUSK, CO. DUBLIN, CLOSE TO EXIT 4 OFF THE M1.